A-Archer Sewer and Plumbing Service specializes in providing top workmanship to deliver consistent reliable plumbing, drain and sewer services. Our professional and experienced team are equipped to assist our customers beginning with the initial consultation and ending with the final pieces of your plumbing. We strive to provide a hassle-free experience for all of your plumbing, drain and sewer needs. 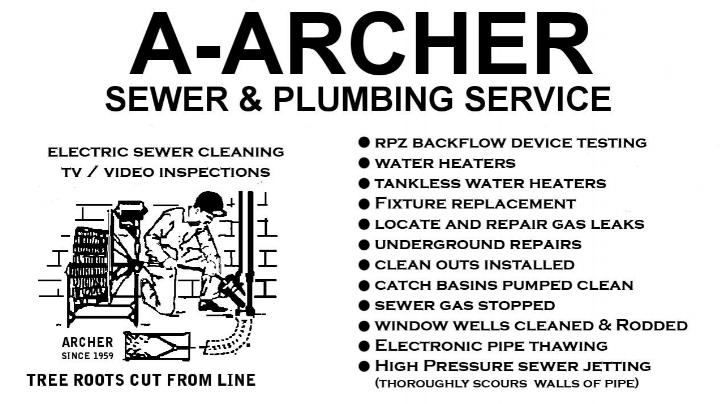 A-Archer Sewer and Plumbing Service works with qualified and skilled plumbers to provide you with reliable on-time services for any of your plumbing, drain, sewer, water heater, sump pump and backflow RPZ needs. We provide sewer and drain service no matter the size. Our trucks are equipped to handle all your drain cleaning needs. 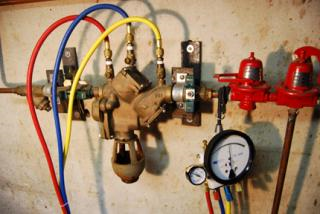 We also provide video inspection of sewer systems as well as sewer locating services. 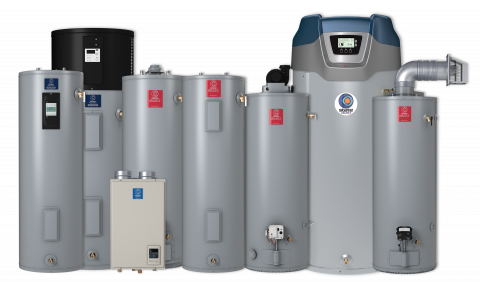 Water heaters come in many shapes and sizes, for residential, industrial, and commercial uses. 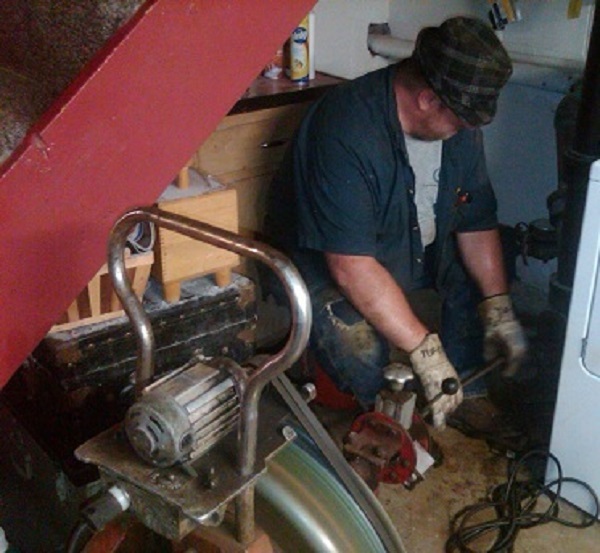 Our plumbers are trained to service, repair, and install many of the water heaters in tank type and tankless. I have been a customer since 1995 and have always had wonderful service with them. They come the same day you call, they do a great job cleaning up. I have a problem with the tree roots and when they are done it's perfect. I would never switch to anyone else. I have been utilizing A-Archer for restaurant service in the Chicago area for over 5 years now, they are prompt, responsive, professional, and friendly! I've used these guys twice and had great results both times. First time was to remove tree roots from the main line, and second was to seal some gas leaks on my appliances. Price and service were excellent on both. Excellent service provider with fast response and quality workmanship. Will use and recommend any chance I get. Thank you! 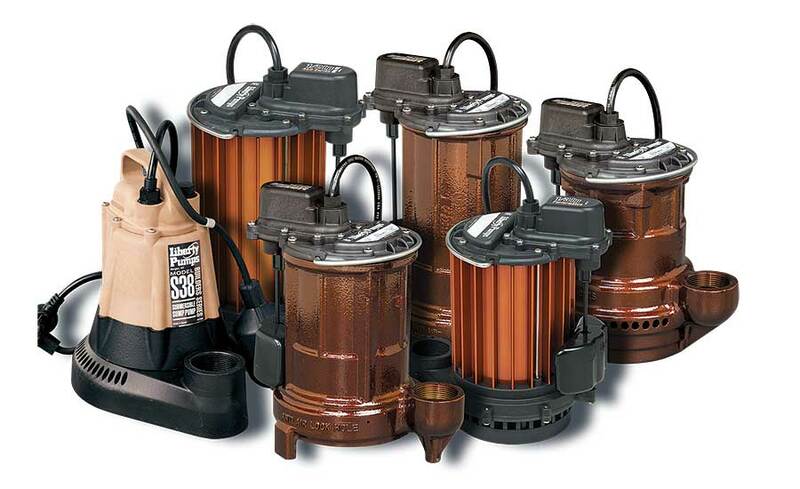 We offer a two-year written guarantee for residential power rodding of sewers and drains. "We will rerod once free if the line we power rodded blocks within two years." Check our business hours on the contact page. If you ever have a question outside of these hours, don't hesitate to reach out! We do provide 24 hour emergancy service. What is so special about A-Archer Sewer & Plumbing Service?